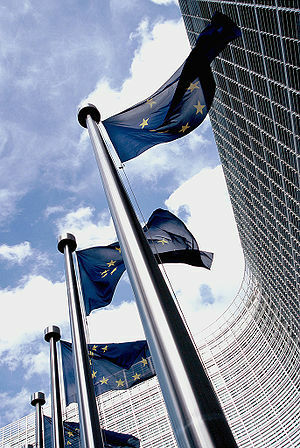 The European Travel Commission has recently published its “Tourism Trends in Europe – Quarterly Reports” for 2012. The European Travel Commission (ETC) is a non-profit making organisation with its headquarters in Brussels. Its members are the 33 National Tourism Organisations (NTOs) of Europe, whose role is to market and promote tourism to Europe in general, and to their individual countries in particular. Liaison with other relevant agencies (e.g; the European Commission’s Tourism Unit (DG Enterprise), the United Nations World Tourism Organization (UNWTO), and the Organisation for Economic Co-Operation & Development (OECD). These activities are financed entirely by Members’ contributions, calculated according to a set of pre-agreed criteria. Additional financial support for specific campaigns is raised in source markets from industry partners. As a result of this local industry support, the ETC is able to lever its core marketing budget from €1 million to over €4 million annually. AER`s Cultural Tourism Initiative started in May 2008 with an introductory seminar that illustrated, how regions, through the preservation of their cultural heritage, can reinforce local identities, promote tourism, and economic growth. A second seminar was organized in September 2008 on the topic of public-private partnerships in Cultural Tourism. The objective of this seminar was to exchange ideas on how regional governments can best cooperate with the private sector in order to ensure the sustainability of cultural tourism initiatives. The seminar on fostering entrepreneurship promotion in Cultural Tourism, held in Durres, was be the third part of this series. The importance of local entrepreneurs in shaping a cultural tourism profile for regions becomes even clearer when analyzing the examples of successful regions. Cultural heritage has a strong human dimension and only becomes authentic if its owned and driven by locals and integrated in their every day life. Getting locals involved and encouraging them to start their own small cultural tourism oriented business can contribute to the economic development of the area and to better standards of living for the locals, as it can reduce unemployment and create additional income. Furthermore, it increases the likelihood of sustainable tourism initiatives, because the benefits of tourism will be reaped by the local population rather than by big tourism operators. Tripadvisor results for Travel Inspiration for History & Culture Holidays anywhere in the world!